San Diego, Calif. – July 25, 2012 – Starting July 25, Motorz (http://www.motorz.tv) can be seen on The Auto Channel in eastern time on Wednesdays at 8:00 p.m. and Saturdays at 2:00 p.m. 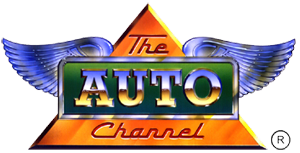 Established in 1987, The Auto Channel currently reaches more than six million television households in southern Florida and is broadcast in high definition (HD) via free over-the-air networks as well as Dish Network, DirecTV, Comcast and AT&T U-Verse. TheAutoChannel.com is considered to be the Internet’s most complete and comprehensive automotive information resource and contains more than one million pages of content covering 20 subject areas, and thousands of video and audio files. For more information, visit http://www.theautochannel.com. Motorz, established in 2008 and produced by Duke Networks, is a popular automotive improvement series. Produced in a home garage environment, Motorz shows viewers how to properly maintain a vehicle and install aftermarket accessories with step-by-step instructions in an entertaining “you can do it, too” format. The show includes a special Partz Segment, Letterz Segment and popular production bloopers. Now completing its fifth season, Motorz reaches millions of viewers worldwide via cable and satellite television channels, Internet distribution, video-on-demand, and mobile access. For more information about Duke Networks, visit http://www.duke.net. For more information about Motorz or to watch the show, visit http://www.motorz.tv. For advertising and sponsorship information, visit http://www.motorz.tv/advertising/. LIKE Motorz on Facebook http://www.facebook.com/motorztv and follow on Twitter @Motorz.